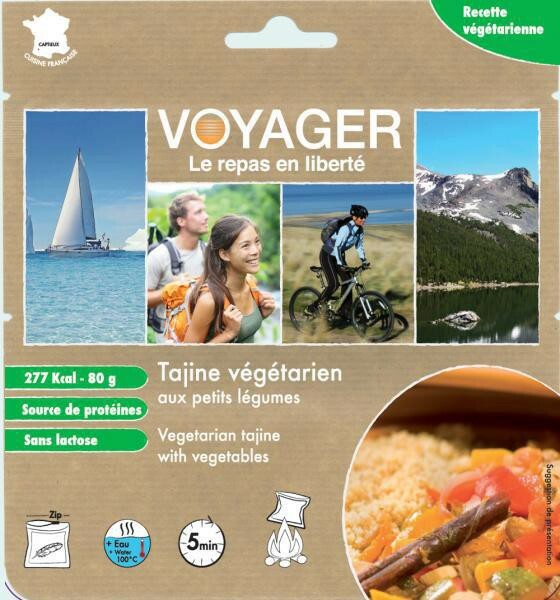 Freeze dried vegetarian dish spicy vegetables. A delicious Morrocan vegetable stew, spicy with big pieces of tasty vegetables and slightly sweetened by dried plum. Meet the orientalism of this meal. semolina 77,13%, lyophilized vegetables 16,88%, plums, tomato sauce, salt, spices.